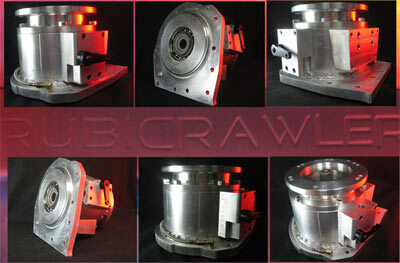 Paso Robles, CA – Advance Adapters showed their new 42RLE Rubi-Crawler SEMA show in Las Vegas. Part replaces stock 42RLE tailhousing and has its own 2.72:1 low range to use in addition to the stock transfer case 4:1 ratio. Fits Jeep TJ and JK Rubicons.